Nina creates high-performing distributed teams. She shows CEOs and senior executives how organisations need to rethink flexible work styles to succeed in both the here and now and the future of work. Nina established and led the cutting-edge strategy team that delivered major steps towards the Australian Government’s goal to double the number of people who work from home. As a consultant Nina went on to create a framework for effective flexible work (including remote work) that was endorsed by leading Australian businesses. The Australian Government has now adopted that framework as its definitive advice to employers on effective flexible work. Nina has a leading role in the conversation about the future of work. She has spoken at national conferences in Australia and New Zealand on this topic. Nina draws on her career as Speech-Language Pathologist (Speech Therapist) and her knowledge of distributed teams to create high-performing distributed teams that outperform co-located teams by up to 22%. Nina is a consultant, trainer, coach and mediator. 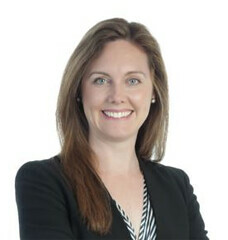 She is based in Wellington, New Zealand and works with businesses and organisations throughout New Zealand and Australia. Firstly, we have a chat about your team situation to determine your desired outcomes. Then, we do some discovery activities to identify the context, relationships and activities of your team together with the source(s) of your issues. Together we clarify your outcomes and discuss whether consulting, training or coaching is needed. We may work directly with you as the leader or person of influence or with your team as a whole – your choice. Nina Sochon works throughout New Zealand and in major centres in Australia such as Sydney and Melbourne to deliver most of Transformed Teams’ consulting, training, coaching and mediation. We bring in collaborators and partners as needed. Opportunity International Australia provides people living in poverty with the opportunity to transform their lives by establishing their own business. Living Hope breaks the cycle of poverty for future generations in Uganda through a range of interventions including life skills and business training.